For the record, I am not stingy. My ex used to complain about my fondness for "cheap travels" and lectured me on why I need to adopt some luxury in my "life". Whatever. If he were a single parent, he'd probably be more lenient toward practicality. That is to say: I am a single mom and I am very conscious about where I spend my money on. And that I am not stingy, I just choose to be economical. I wouldn't wanna shell out thousands of pesos for expensive flights or private rides... neither for an extravagant cruise nor iPhone 8... But I'd rather for a pair of trainers... and a durable travel bag. Recently, I've been traveling quite a lot and I realized it's about time I invest in travel blogger necessities such as power bank (yeah I don't have a power bank), a selfie stick (also this one obviously), a go pro, and a DURABLE TRAVEL BAG - preferably not a suitcase! Technically, I can still use my suitcase. But IT'S WORN OUT. I love that Floral Yellow Voyager luggage. But it is bulky and very beach inappropriate. Got it in January of 2015 and had used it every month since. It packs efficiently. But also tolerates my inability to pack light. Back then, I was a backpacker without THE backpack. I really wished I had a carry-on travel bag I could wear comfortably on my back without straining my shoulders (or ruining my outfit). But I wasn't really keen on getting a black hiker bag and I kind of found the small backpack I gave to my cousin handy and so me - it was mint green...! Fast forward to the summer of this year, I saw my blogger friends Travelosyo and Terrific Traveler flaunt their travel bags. One has a camouflage design (and his friend's has a good desert sand shade). My friend Mon's has a bright blue color. All those travel bags are CabinZero. That was a question for myself. Such a shame! I wasn't informed about this British brand of travel bags. But it's never too late to get acquainted with new things, right? So I did my research, checked CabinZero website, browsed on their products, and read my blogger friends reviews. Days later, I received my 44L CabinZero Galactic Green Urban Backpack. 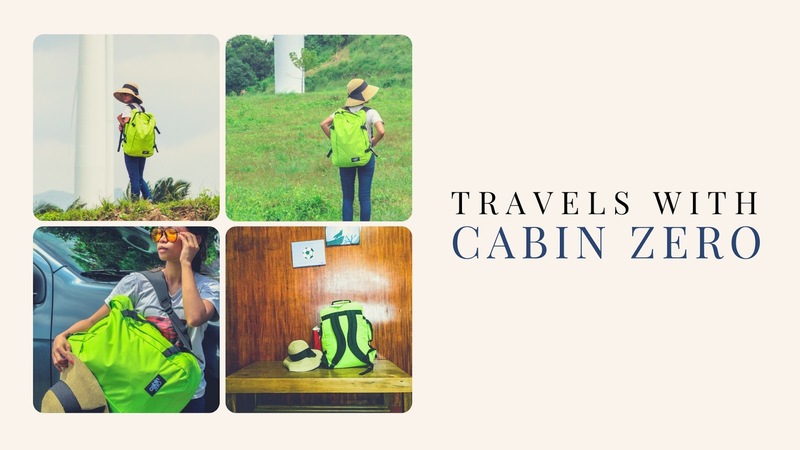 Now, I've become a full-fledged CabinZero brand ambassador and I am listing down here the things I love about CabinZero Urban Bags and why I recommend them to you based on my experience traveling with CabinZero! CabinZero bags are accepted as carry on by all the major airlines. If you've experienced lost luggage or the jostling for space whilst waiting what seems like forever for your luggage to come down the carousel then you'll appreciate the fact that your CabinZero bag will never have to leave your side. CabinZero bags are light! Their classic collection weighs in at approx. 760g and their military collection is approx. 960g. CabinZero knows there's nothing worse than traveling with a heavy suitcase so they've designed their bags lightweight. CabinZero bags have built in lost and found tags. This ensures your bag is able to be traced back to you in the event it is lost (or even stolen). The system is also linked directly into the Airline's own baggage tracing system. You just need to register the tag online with Okoban.com as soon as you receive the bag. Your bag then has lifetime protection using this lost and found system. CabinZero bags are spacious. With your CabinZero bag, you sure have a lot of room to fit everything you need on your travels. Every CabinZero bag comes with a 10 year warranty. If you go over to their Facebook page and like CabinZero then they'll automatically upgrade your warranty to 25 years! 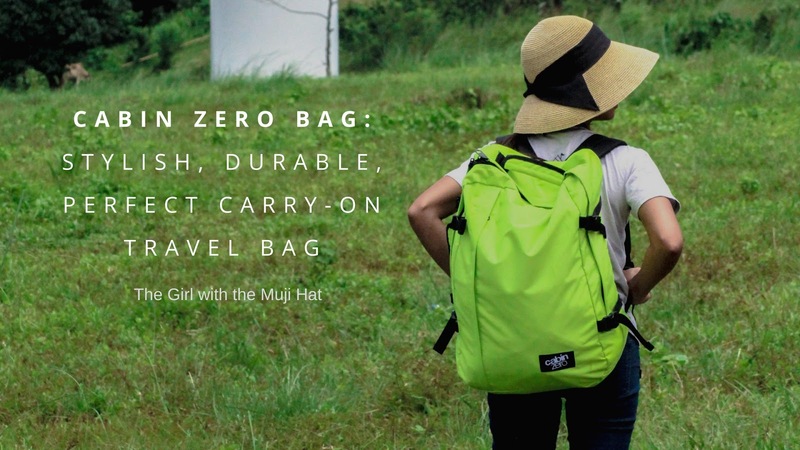 CabinZero has 28L, 36L, 42L, and 44L bags that come in different colors and style. Didn't have any trouble with my bag's dimension because it's built for the cabin. The length, height, thickness - fit perfectly in the overhead bin. I registered my bag so I am confident I'd easily track it in case I lose it at the airport. With lockable zippers, I could leave my bag in the dormitory without worrying anyone would steal something. The straps are easy on my shoulders. I didn't have difficulty wearing them for a relatively longer period of time. I know if something unfortunate happens to my backpack, I can return it to CabinZero and have it replaced — even after I’ve used it. How awesome is that?! I need to squeeze in a lot of stuff into my backpack like my lenses and tripod - by the way, I want to say I was able to fit my tripod into my backpack! Amazing - so I cannot rely on 28L bag. I need 44L capacity. I know it is early for me to say but I have a strong feeling that it is sturdy and durable enough. My friends also attest to this as some of them got their bags a year ago. Wash the bag and it immediately looks brand new! The material easily dries off! It is water resistant too! Backpacks in the US usually range from 99 USD to 299 USD. CabinZero is just around 80 USD! I know it is still slightly costly converted to Philippine peso, but with the quality, convenience, and warranty you are getting - it's just worth having! I am utterly happy to have my CabinZero bag. My recent travel packing was efficient and comfortable because of it. 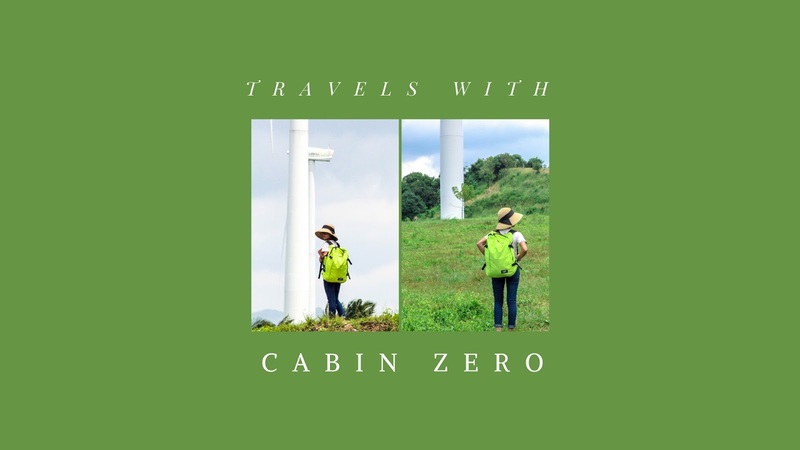 I am excited to travel to my next destination with my CabinZero bag. No more baggage check-ins, no more leaving my suitcase in coin lockers. My travel bag can stay right by my side (well on my back) wherever I go, whenever I am on the go. What do you think about CabinZero carry-on travel bag? Do you want to have one for yourself? Let me know your thoughts in the comment section below! Thanks!